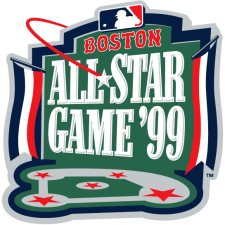 The 1999 Major League Baseball All-Star Game was the 70th playing of the midsummer classic between the all-stars of the American League (AL) and National League (NL), the two leagues comprising Major League Baseball. The game was held on July 13, 1999 at Fenway Park in Boston, Massachusetts, the home of the Boston Red Sox of the American League. Fenway Park was chosen as host because the owners at the time were planning to build a New Fenway Park in a few years but were unable to get the project off the ground in time for the game. This All-Star game is particularly notable as it featured the nominees for the All-Century Team as well as Ted Williams. In two innings, AL starting pitcher Pedro Martinez struck out the first five of six batters he faced. 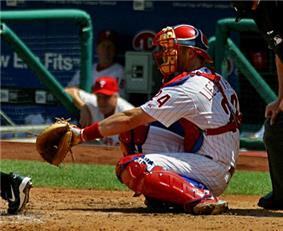 The game resulted in a win for the American League by the final score of 4-1. Both the American and National League Starting Pitchers would be on the Red Sox 2004 World Series Championship team. After The Moffats sang O Canada and (Boston native) Donna Summer sang The Star-Spangled Banner, Hall of Famer Ted Williams threw out the first pitch of the all star game. Before throwing the first pitch he was announced at Fenway as the greatest hitter of all time. The post-anthem flyover was by the Vermont Air National Guard, aka the "Green Mountain Boys," while Camp Edwards provided the colors presentation. The outfield flag presentation was by the Lowell Police Department and the Middlesex County Sheriffs Department. This All-Star Game was originally to be awarded to the Milwaukee Brewers, to be played at Miller Park. However, the Brewers' move to the National League led then-Major League Baseball CEO Paul Beeston in 1997 to ask the Boston Red Sox to host this game. The Red Sox agreed to host this game; Miller Park would not open until 2001; by then, their former owner, Commissioner Bud Selig, had awarded the Brewers the 2002 Major League Baseball All-Star Game, which they hosted. ^ a b Player decline or was unable to play.